I’m delighted to be one of the Keynote speakers at this years’ Staffordshire History Day on Saturday 11th May. I’ll be talking about the research behind my Criminal Quilts project in detail and sharing some of the many intriguing and troubling stories we unearthed during the research. 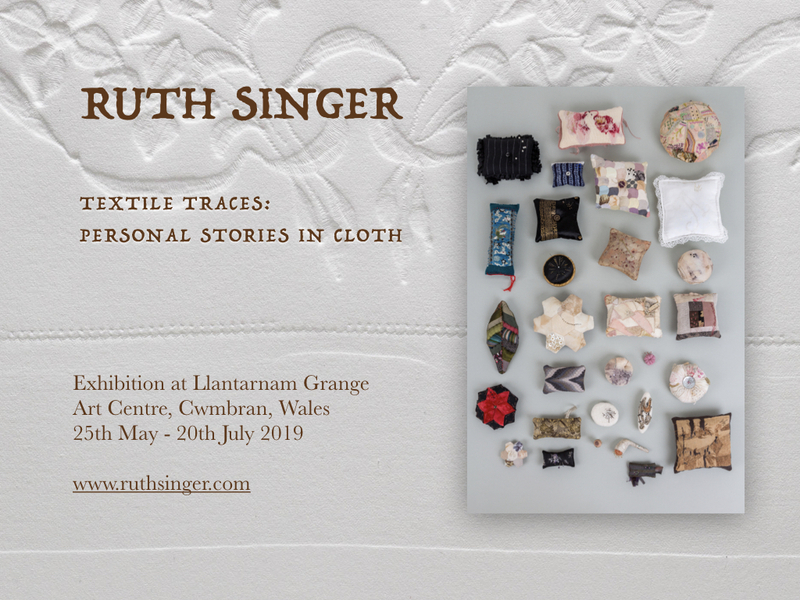 This exciting group exhibition of innovative and unusual textile work includes a group of my Precious Object tools. The exhibition opens on Friday 3rd May and continues until Sunday 30th June. 10am – 5pm and free admission. There is a preview event on Thursday 2nd May, please contact me if you would like an invite to this. Criminal Quilts talk for Cultural Exchanges Festival, De Montfort University, Leicester. I’m pleased to be showing a couple of pieces in the Leicester Open exhibition 15 December 2018 until 2 February 2019 at New Walk Museum and Art Gallery, Leicester. I’m pleased to be taking part in the Leicester Print Workshop members exhibition this year. I am working in collaboration with Gillian McFarland to produce a changing artwork installation which will develop from week to week as we share ideas, develop and pass things to and fro and create new pieces inspired by two found objects. The exhibition opens this weekend (17th-18th November) with the Print Festival and Gillian and I will be giving at talk on Saturday 17th November at 4pm about our work. There is also an exhibition preview on Friday 23rd November – details below. The exhibition continues until 26th January 2019. Gillian McFarland and Ruth Singer work in collaboration as McFarland & Singer alongside their distinct and established solo artistic practices. They began working together in 2014 while sharing a studio; a space that allowed them to share ideas and approaches. In addition to the work created for this residency, McFarland & Singer have a strong convergence of interest around the archaeology of stains and marks of time. This work is an ongoing collaboration, passing to and fro between us as we each explore related, but separate ideas. The piece begins with two found objects from a charity shop which we both respond to initially, through discussion and making alongside each other. This work will change every week as we add new prints and related pieces of work. This work is displayed in file trays to represent the orderly collation and separation of ideas. Feel free to take the pieces out of the trays and move them around and change the order. We will use this intervention and selection as part of the process of making new pieces each week.